In the United States in the 1940s, more than three million men, women, and children wore clothing made of feed sacks, the generic name for the cotton bags that once held everything from animal feed and agricultural seed to flour and sugar to hams, laxatives, and ballots. In an era where nothing went to waste, feed sacks were seen as “free fabric” and prized by women on farms and in town. It didn’t take long for manufacturers to realize the opportunities this created for industry and marketing. What were once plain sacks printed with a company logo evolved into bags stamped with cut-and-sew dolls and embroidery patterns. By the late 1930s it was possible to buy sacks printed with patterns that rivaled those found in the latest fashions—more than 18,000 different prints and colorways have been documented. 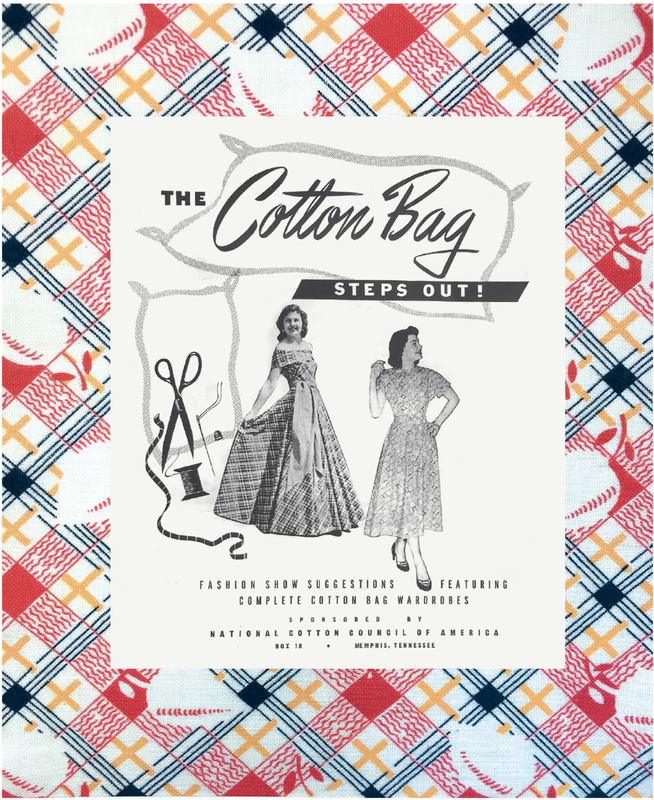 Manufacturers joined forces with the cotton industry to keep sewists loyal to cotton sacks, sponsoring feed sack-sewing contests at county and state fairs, with prizes for national winners that included automobiles and trips to Hollywood. Author Linzee McCray’s lecture features historic photos, vintage advertising, and fabric patterns, as well as actual sacks and the clothing, quilts, and other items made from them. It will be of interest to lovers of fashion, textiles and design, historians, and those with an interest in sustainability. Linzee Kull McCray is a writer with a focus on textile-, craft-, and art-related topics. She is the author of Feed Sacks: The Colourful History of a Frugal Fabric (UPPERCASE, 2016) and of Art Quilts of the Midwest (University of Iowa Press, 2015). She has spoken nationally and internationally on topics related to both books, and served as an independent curator for exhibitions at the National Quilt Museum, Iowa Quilt Museum, and Texas Quilt Museum. She continues to research feed sacks, and regularly writes profiles and features for several magazines and blogs. She grew up in California and now resides in Iowa.